Exotic and irrational entertainment: Jane Austen and Cecilia: A personal connection? As I mentioned in the previous post, Jane Austen's favorite novelist: Fanny Burney, the narrator of Northanger Abbey singles out Burney's novels Cecilia (1782) and Camilla (1796) for special praise. She says that they are works "in which the greatest powers of the mind are displayed, in which the most thorough knowledge of human nature, the happiest delineation of its varieties, the liveliest effusions of wit and humour, are conveyed to the world in the best chosen language" . 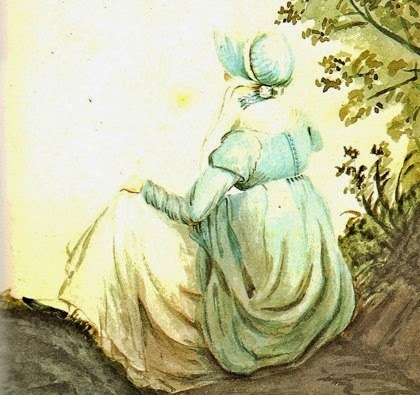 As I continue reading Cecilia, I'm struck by reasons beyond its literary qualities why Jane Austen might have esteemed it so highly: I believe that Austen felt a strong personal connection with the dilemmas of its heroine. In December 1795, when she was twenty, Jane Austen met Tom Lefroy. He had recently graduated from Trinity College, Dublin, and was on his way to study law in London when he visited his aunt and uncle in Ashe, a small Hampshire village about 50 miles southwest of London. Ashe is also about two miles from Steventon, where Jane was born and had lived her entire life; the Ashe Lefroys and the Austens were well acquainted. I look forward with great impatience to it, as I rather expect to receive an offer from my friend in the course of the evening. I shall refuse him, however, unless he promises to give away his white coat. ...Tell Mary that I make over Mr. Heartley and all his estate to her for her sole use and benefit in the future, and not only him, but all my other admirers into the bargain wherever she can find them, even the kiss which C. Powlett wanted to give me, as I mean to confine myself in future to Mr. Tom Lefroy, for whom I don't care sixpence. Tom Lefroy was dependent on a great-uncle for support, and so was not free to marry a woman with no fortune such as Jane Austen. Stories persisted within the Lefroy family for decades that Tom had been sent away by his aunt, out of concern for Jane, to prevent this flirtation from turning more serious. There is strong evidence that Tom indeed fell in love with Jane. In 1799 he married Mary Paul; their first daughter, born in 1802, was named Jane Christmas Lefroy. While Jane was also the name of Mary Paul's mother, the addition of "Christmas" is almost certainly an allusion to the season of Tom's first meeting with Jane Austen, and suggests that Jane Christmas is Austen's namesake. Left now to herself, sensations unfelt before filled the heart of Cecilia. All that had passed for a while appeared a dream; her ideas were indistinct, her memory was confused, her faculties seemed all out of order, and she had but an imperfect consciousness either of the transaction in which she had just been engaged, or of the promise she had bound herself to fulfil; even truth from imagination she scarcely could separate; all was darkness and doubt, inquietude and disorder! But when at length her recollection more clearly returned, and her situation appeared to her such as it really was, divested alike of false terrors or delusive expectations, she found herself still farther removed from tranquillity. Hitherto, though no stranger to sorrow...she had yet invariably possessed the consolation of self-approving reflections; but the step she was now about to take, all her principles opposed; ...scarce was Delvile out of sight, before she regretted her consent to it. And yet, she does decide to refuse him. As the quote above suggests, her vacillation is not capricious, but emotionally agonizing. I've proposed that one reason Jane Austen esteemed Fanny Burney's Cecilia so highly is that she recognized her own emotional quandaries in those of its heroine—in particular, her feelings when faced with a forbidden marriage and a change of heart over a marriage proposal. However, one possible objection to this idea is that Northanger Abbey, the novel in which Austen's narrator specifically praises Cecilia, was first written in 1798-99. While this is after the flirtation with Tom Lefroy, it occurs before Harris Bigg-Wither's proposal of marriage. 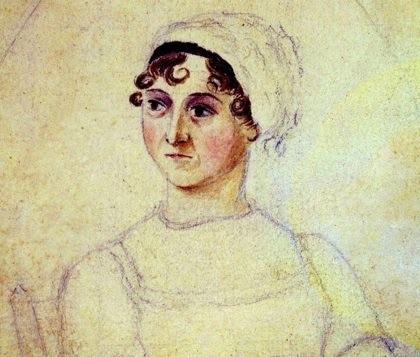 However, it's known that in 1803, just a few months after her acceptance and next-day refusal of Bigg-Wither's proposal, Jane Austen revised the manuscript of Northanger Abbey (then entitled Susan) before submitting it anonymously to a publisher. And in 1816, Jane's brother Henry was able to buy the still-anonymous manuscript back for the same £10 that had been paid for it by the publisher; Jane revised the manuscript again before her untimely death in July 1817. If her own experiences inspired her narrator's praise of Fanny Burney's novels and their insight into the human heart, that praise might have been added during either the 1803 or the 1817 revision. As additional evidence, the passage in its final form must have post-dated the novel's initial composition, because Maria Edgeworth's Belinda (published in 1801) is included in the narrator's praise. Unfortunately only a fragment of the Susan manuscript survives, and so this is a question that, like many relating to Austen's life and work, may never be definitively resolved. 1. Jane Austen, Northanger Abbey, Ch. V.
2. Fanny Burney, Cecilia, Book VII, Ch. VIII. 4. JAL, Vol. I, pp. 5-6. 5. Deirdre Le Faye, Jane Austen: A family record, 2nd edition. Cambridge University Press, 2004. p. 278. (JAFR) This book is an essential resource for documents relating to Jane Austen's life. 6. James Austen-Leigh, A memoir of Jane Austen by her nephew. Folio Society, London, 1989, p. 50. 7. Jane Austen, Pride and Prejudice, Ch. 33. 8. Cecilia, Book VII, Ch. III. 12. Pride and Prejudice, Ch. 59. 13. JAL, Vol. II, p. 410.